The Association of Neuropsychology Students in Training (ANST) and its parent organization, the Education Advisory Committee (EAC) of the Society for Clinical Neuropsychology (SCN), have partnered with the Association of Postdoctoral Programs in Clinical Neuropsychology (APPCN) to develop the first ever neuropsychology postdoctoral fellowship webinar… and you’re invited! This free webinar is designed for trainees interested in pursuing a postdoctoral fellowship in clinical neuropsychology. Seasoned neuropsychologists will present information on the application process, note important factors to consider when navigating applications and making decisions, and provide recommendations as well as answer frequently asked questions. View the webinar here! The Society for Clinical Neuropsychology─Ethnic Minority Affairs (SCN-EMA), in collaboration with the Association of Neuropsychology Students in Training (ANST), is proud to announce a webinar series geared towards promoting diversity within the training, science, and practice of neuropsychology. This first free webinar is designed for trainees and professionals who are committed to increasing their skills in cultural competence in neuropsychology, and enhance their awareness of diversity-related issues commonly encountered in training and practice settings. Drs. Melissa Castro and Tedd Judd will discuss key issues, practical tips, and recommendations for training and learning non-English multicultural skills, starting a clinical practice that services multicultural populations, and ethical considerations. They will answer questions from attendees. View the webinar here! The Society for Clinical Neuropsychology’s Association of Neuropsychology Students in Training (ANST) have partnered with the Association for Doctoral Education in Clinical Neuropsychology (ADECN) and the American Psychological Association of Graduate Students’ Committee for the Advancement of Racial and Ethnic Diversity (APAGS-CARED) to develop a free webinar on guidance for undergraduate students interested in pursuing education and training in clinical neuropsychology. Training directors, supervisors, and faculty are also welcome to attend. The speakers will present key information about things to consider when looking for graduate programs, while providing recommendations and answering frequently asked questions. View the webinar here! to promote diversity from a multicultural perspective. Christine M. Salinas, Psy.D. Clemente Vega, Psy.D. 2. Click the Blue Sign In button at the top left hand corner. 3. Sign in to your Google account. 4. Click the yes button under the “Are you going to watch?” section. 1. Download the Google+ App for your smartphone. 2. Sign in to the app with your Google account. The Society for Clinical Neuropsychology’s Education Advisory Committee (SCN-EAC) and the Association of Neuropsychology Students in Training (ANST) have partnered with the Association for Internship Training in Clinical Neuropsychology (AITCN) to develop the first ever neuropsychology internship webinar and you are invited! 4. Click the yes button under the “Are you going?” section. Neuropsychology Exposure (20% or less). The Psychology Training Program, which is fully accredited by the American Psychological Association for internship training, has the goal of assisting interns in the development of the knowledge, skills and techniques necessary to function as professional psychologists. Ours is a practitioner / scientist program in that the emphasis is placed upon the various supervised activities an intern might perform. That is, patient care activities, such as assessment and intervention, are typically given a higher priority than more academic pursuits, such as research and teaching. This is not because we devalue the latter; rather, it is because we perceive our site better suited to providing training in patient care functions than university training programs, which seem better suited to providing training in research and teaching. With that bias, we look forward to helping our interns integrate these areas of their training so that each can inform and reinforce the other. The primary method used to achieve this goal is based on the tutorial-apprenticeship model. Interns work with their primary supervisor to design a clinical experience to meet their unique needs participating directly in the work of their primary supervisor. While it is possible to sketch the general character of the intern’s involvement, the exact nature of the experience depends upon the intern supervisor mix, for we try to individualize training as much as possible and use our resources to meet unique needs. The intern is expected to produce scholarly work products integrating scientific psychological literature in their assessment of and treatment planning for patients. Our tutorial-apprenticeship model is supplemented by a series of seminars, teleconferences, and consultant contacts. In achieving individualized training objectives, our program requires that each intern demonstrate an intermediate to advanced level of professional psychological skills, abilities, proficiencies, competencies and knowledge in the areas of: a) theories/methods of assessment/ diagnosis and effective treatments/interventions; b) theories/ methods of consultation, evaluation, and supervision; c) strategies of scholarly inquiry; and d) issues of cultural/individual diversity relevant to the above. The goal of which is to produce entry–level graduates who can think critically about relevant theoretical and scientific literature and be able to apply this in their clinical and research work. The Psychology Staff enthusiastically supports The VAIHCS mission to honor America’s Veterans by providing exceptional healthcare that improves their health and well-being. The Psychology Staff is comprised of 27 doctoral level psychologists, as well as a number of psychology technicians, interns, and practicum students. The services of several consultants from the private sector and faculties of universities in the area augment the regular staff of 36. Occasionally the services of volunteers are utilized for specific purposes. Training functions are directed toward the education and training of graduate students who are candidates for doctorates in clinical or counseling psychology. The training orientation is student-centered rather than technique centered, with focus on work experience which parallels that of staff psychologists and is supplemented by directed readings, lectures and seminars, as well as individual and group supervisory sessions. Specialized Intramural Training Options: Usually an intern has three primary placements within the facility that last for four months and run sequentially. These primary placements involve a number of training options. These options typically involve, but are not limited to those that are listed below. Neuropsychology is listed separately below. In reviewing them, it should be kept in mind that these experiences have been constructed out of active patient care programs. 1) Primary Care Mental Health: Psychologists in primary care mental health function as independent members of interdisciplinary treatment teams that include psychologists, psychiatrists, social workers, nurses, and auxiliary therapists from specialized services. Interns, as interdisciplinary team members, develop the skills to make contributions to their patients’ individualized treatment plans, as well as take responsibility for providing the psycho diagnostic, psychotherapeutic and case management services necessary for their discharge and maintenance in the community. 3) Health Psychology: Focusing primarily on medical or surgical patients, interns in this placement learn to rapidly assess and develop interventions for the psychological components of various disorders, using such modalities as individual, group, marital and family psychotherapy, biofeedback, pain/stress management, hypnosis, and relaxation training. Developing the skills to coordinate psychological interventions with medical treatment and family resources is a major focus. 4) Psychology of Long-Term Care: The psychology of long-term care rotation offers interns training opportunities working with patients who are receiving either short stay (<90 days) or long stay (>90 days) care in our extended care facility aka Community Living Center (CLC). The wards covered in this rotation include rehabilitation, palliative care, dementia, wander guard, and general long and short stay wards. Patients in the rehabilitation ward are typically receiving care for wounds that require long term antibiotic treatment or patients needing physical rehabilitation secondary to an acute illness such as a CVA or surgery. Veterans in our palliative care ward are end of life/hospice patients receiving comfort care. We also have a closed ward for patients with advanced dementia who are still ambulatory and need elopement/wandering precautions. Furthermore, we have a wander guard ward for patients who are as risk for elopement/wandering for various reasons including cognitive and/or psychiatric impairments. Then finally we have general wards for long term stay residents receiving nursing home care and for short term residents receiving various services including physical rehabilitation or respite. The population on these wards is predominantly geriatric; however some of the wards do occasionally serve younger patients. All new admissions receive a psychological evaluation. Even though we are an extended care facility we have a rather high turnover rate. Patient’s mood and cognition are evaluated using a combination of clinical interview and assessment measures. In addition, psychology is responsible for completing capacity evaluations and assessing patients for suicidal risk as necessary. Furthermore, psychology functions as part of a multidisciplinary team and assists the team with behavioral management issues and management and treatment of patient’s psychiatric needs. There is opportunity for both short term and long term psychotherapy as well as providing staff education. The psychology of long-term care rotation can be taken either as a primary or secondary rotation. 5) Substance Abuse Rehabilitation: Focusing on alcohol and other drug dependencies, this program bases its treatment on Rational Emotive Therapy and features individualized modules involving lectures, group discussions, relaxation, social skills, assertion and relapse prevention training. In this placement, an intern can anticipate experience in assessment, treatment and follow-up activities. 6) Outpatient PTSD: In the Outpatient PTSD Clinic, interns will learn to evaluate referrals to the clinic using interviewing and psychodiagnostic skills. Interns become full-time members of the PTSD Clinical Team (PCT) accruing a caseload and providing a full range of services to Veterans and their families on an outpatient basis. Treatment modalities in the PTSD Clinic include individual, group, marital, and family therapy. Providing PTSD education to Veterans and their families is also an important component of treatment. In addition, interns have the opportunity to strengthen skills with particular techniques for relaxation, stress management, etc., by developing and facilitating special focus groups. An important training goal for interns will be the ability to acquire and implement a conceptual model for understanding and treating trauma that effectively addresses the biological, psychological, affective, and spiritual injuries sustained from exposure to trauma. Special emphasis is given to evidence-based treatment modalities including Prolonged Exposure Therapy, Cognitive Processing Therapy, Acceptance and Commitment Therapy, and Motivational Enhancement Therapy. Some PTSD clinical staff have been trained in PE by Edna Foa, Ph.D. and Elizabeth Hembree, Ph.D. Interns will have the option to participate in the specialized assessment and treatment of dually-diagnosed Veterans suffering from PTSD and substance use disorders. The PTSD/SUD specialty area utilizes an interdisciplinary treatment collaboration between PTSD and SARP, with a focus on safe coping skills and relapse prevention. Training in Military Sexual Trauma and some of the unique issues involved in treatment is also available. Interns can also request training in Theophostic Prayer as a treatment modality for trauma victims. The PTSD clinic utilizes a team approach to training and interns will be provided the opportunity to gain experience with each staff member, as well as attend specialized, interdisciplinary meetings to address issues such as: care for polytrauma victims and the seamless transition of Veteran’s care from active duty to the civilian sector. 7) Home Based Primary Care (HBPC): This rotation is located within the Home Based Primary Care program providing psychological services to Veterans who are essentially home bound due to medical conditions. At Illiana, the population served ranges in age from the fifties through end of life, primarily within rural settings. The clinical needs vary greatly with a predominance of adjustment, anxiety disorders, mood disorders, and cognitive disorders. The intern is expected to function within a multidisciplinary team and can expect close interaction with the members of the HBPC team. Working with the HBPC Psychologist, the intern will conduct brief psychological evaluations for mood, cognition, and adjustment, more comprehensive assessments when indicated, and may develop a small therapy caseload. Working with our team and within the Veterans’ homes is very rewarding, clinically challenging, and an experience unlike office-based clinical practice. 8) West Lafayette Community-Based Outpatient Clinic (CBOC): In the CBOC, interns will have the opportunity to work with a diverse, outpatient Veteran population in individual, group, and couples’ therapy. Interns will conduct both short- and longer-term interventions based on an assessment of each Veteran’s unique needs and goals for therapy. Interns will gain experience in the integrative treatment of such presenting concerns as Posttraumatic Stress Disorder, depression and other mood disorders, acute stress reactions, grief/loss, post deployment readjustment, interpersonal problems, and other difficulties that interfere with Veterans’ functioning and quality of life. Psychoeducation, skill-building, and identification of Veterans’ strengths and areas of resiliency are frequent components of these interventions. Specialized training in, and supervision of, Prolonged Exposure therapy and Cognitive Processing therapy are available. Trainees will also gain experience in the psychosocial rehabilitation model and feminist therapy, both of which emphasize individuals’ strengths, choice and autonomy, expertise on their own lives, and respectful and egalitarian therapeutic relationships. The CBOC is an interdisciplinary clinic and trainees will also gain valuable experience in embodying the role of the psychologist in an outpatient community setting and collaborating with primary care providers and other disciplines in triage and treatment planning. Trainees will also gain experience in working with Veterans who are ambivalent about psychotherapy or are very new to mental health treatment. There are two different batteries used in the clinic (fixed, flexible) used to conduct individual evaluations of psychological functions in veteran’s affected by brain damage. Results are used to provide remediation planning and follow-up services to veterans and their families. Interns learn to administer and score many standard neuropsychological tests, to design individual test batteries, and to write interpretive reports. Resources in the area are extensive enough to support two training options: an introductory experience emphasizing assessment issues to help interns develop the skills necessary to recognize brain syndromes as well as make intelligent use of neuropsychological resources, and an advanced experience which combines training in assessment with training in intervention and case management. Previous coursework and practica in assessment are needed. The neuropsychology-advanced experience is designed to provide clinical experiences consistent with INS/Division 40 guidelines for internship. Currently recruiting a third staff member. Didactics are created each year based on the needs of the Neuropsychology student. Recent topics include: Neuroanatomy, Neuroimaging, Vascular System, Psychometrics/Test-construction/Selection, Substances in Neuropsychology, CVA, Agnosia, Effort in the applied/clinical setting, and Epilepsy/Seizures. During the Neuropsychology rotation there is a weekly Neuropsychology didactic as well as a general Mental Health didactic. There are many additional didactic opportunities throughout the year throughout the VA system. Demonstrate competency in the eight basic skill areas of Neuropsychology: Models of Neuropsychological Assessment, Test Administration Scoring, Clinical Interview/Consultation, Test Selection, Diagnosis, Test Interpretation/Report Writing, Intervention, and Neurology/Neuroanatomy. Demonstrate entry-level skills in choosing a battery of tests and combining neuropsychological instruments to address specific neuropsychological referral question/hypotheses. Demonstrate entry-level skills in test interpretation and case conceptualization of neuropsychological issues. Demonstrate an understanding of the various approaches to neuropsychological assessment. Develop effective staff relationships in a variety of settings and function as a consultant to referral sources. Expand the intern’s knowledge in the area of Neurology by attending Neurology clinic and Neurology ward rounds when available. Expand the intern’s understanding of differential diagnosis of commonly seen conditions. Increase understanding of related medical conditions and medications that compromise cognitive functioning. Become more knowledgeable of functional Neuroanatomy and resulting changes from impairment to specific brain areas. Become more familiar with available options for rehabilitation of neurological disorders. Gain experience in making recommendations for treatment and provide appropriate feedback to patients and families. Become more adept at personality test interpretation and feedback. Ethical Issues: Demonstrate an understanding of ethical issues on a case-by-case basis specifically addressing issues of assessment, test management, and confidentiality as they relate to Neuropsychology. The intern will observe VA policies and procedures, laws of professional behavior, and the APA code of ethics. Multicultural Issues: Demonstrate tolerance for and acceptance of cross-cultural diversity and individual differences in the therapeutic relationship on a case-by-case basis. The City of Danville: Danville is located in a rich farming area of East Central Illinois, one mile west of the Indiana State line, 132 miles south of Chicago, 90 miles northwest of Indianapolis, and 198 miles northeast of St. Louis. The main campus of the University of Illinois is 30 miles west in Urbana-Champaign; the main campus of Purdue University is 56 miles northeast in West Lafayette; and Indiana State University is 57 miles south in Terre Haute. An excellent network of highways facilitates transportation. The city is on Interstate 74, US 136 and 150, and State Route 1. Danville is a diversified, industrial city with a population of approximately 33,904, the major retail center in a county with a population of about 83,919. The racial makeup of the city is approximately 70.2% white, 24.4% black, 4.6 Hispanic, and .8% other races. Families in Danville can choose from a variety of schools for their children ranging from public schools to parochial schools of Baptist, Catholic and Lutheran faiths. The Danville Area Community College offers about 1500 courses to approximately 5000 students on its 75-acre campus immediately adjacent to the Danville VAMC. Danville is proud of its community symphony, theater, light opera guild, choral societies, art league, and baseball and hockey teams. A civic center hosts performances by performers with national reputations. Other cultural opportunities of the highest caliber abound within easy driving distance of Danville: Indianapolis, Chicago, and St. Louis. All have major symphonies, art museums, theaters, opera and dance companies, as well as professional football, basketball and baseball teams. The Krannert Center for Performing Arts at the University of Illinois in Urbana and the Assembly Hall at the University of Illinois in Champaign provide the settings for performances by a variety of companies of international caliber. Big Ten sports of all kinds are available at the University of Illinois. The city of Danville maintains 8 parks and recreation areas. Three county parks and a state recreation area provide campgrounds, picnic sites, fishponds, hiking trails, scenic views and other attractions for the entire east-central Illinois area. The predoctoral internship at the St. Louis VA Healthcare System is fully accredited by the Commission on Accreditation of the American Psychological Association. The next site visit will be during the academic year 2017. 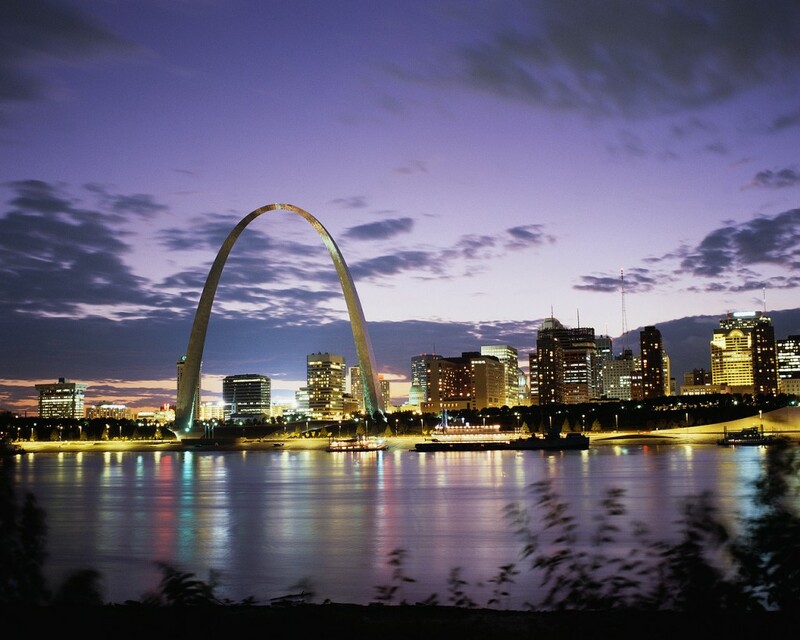 The St. Louis VA Healthcare System Psychology Training Program offers APA-accredited internships to U.S. citizens who are pursuing a doctoral degree in clinical or counseling psychology from an APA-accredited institution. There are a total of five intern positions available annually, which includes four generalist track positions and one neuropsychological track position, although the structure of training does ensure a breadth of experiences for all five interns. Our training program follows a practitioner-scholar model. In general, interns will rotate quarterly while also maintaining a year-long concentration experience. The internship begins in late July each year. Within our generalist model of training we are able to offer a track for individuals interested in devoting 50% of their time to the provision of Neuropsychological activities related to medical and psychiatric populations, in order to meet the needs of individuals planning to apply for Neuropsychology Residencies that abide by the Houston Conference Guidelines. Applying for, and being selected for, the Neuropsychology Track will dictate that the intern select the Neuropsychology and Polytrauma/TBI rotations as two of the four major rotations for the year. On both of these rotations, the emphasis of training will be in the delivery of neuropsychological services with exposure to different patient populations. Additionally, Neuropsychology specific didactics will be added during at least 50% of the training year. This is in addition to the generalist didactics offered to all interns throughout the training year. The Neuropsychology Track allows for an intensity of Neuropsychology training while maintaining the primary internship goal to produce a competent generalist psychologist. Please refer to the description of neuropsychology training for specific information regarding rotations.Supervision of training on the Neuropsychology rotation will be provided primarily by John Hogg, Ph.D., ABPP, Board Certified in Clinical Neuropsychology, Director of the Neuropsychology Clinic. Supervision of training on the Polytrauma/TBI rotation will be provided primarily by Meredith Melinder, Ph.D., Staff Neuropsychologist in the Polytrauma program. Additional supervision for either rotation, or for the optional Geropsychology – Rehab and Extended Care rotation (please see our training brochure for additional information) is provided by John Neudecker, Ph.D., Staff Neuropsychologist and Assistant Director of Training for Psychology. All interns, regardless of rotation assignments, are expected to attend the weekly Intern Didactic Seminar in addition to the weekly Enrichment Seminar Series proctored by VA St. Louis Health Care System Staff Psychologists as well as consultants from a variety of other health care fields. These didactic experiences help ensure that all interns (including those on the Neuropsychology Track) receive training sufficient to produce a competent generalist psychologist. The Neuropsychology Track Intern will get additional training in didactics specific to neuropsychology through inclusion in a weekly neuropsychological case conference meeting as well as a monthly journal club for neuropsychologists and all neuropsychology trainees while they are participating in rotations with a neuropsychological focus. In addition, while participating in the Neuropsychology Major Rotation, the Neuropsychology Track Intern will also have the option of attending neuroanatomy (“brain-cutting”) meetings at the Washington University School of Medicine. Specific training relevant to the needs of the intern will also be provided directly by rotation supervisors (e.g. ; test administration and scoring, test interpretation, neuroanatomy review, etc.). Our primary objective is to provide a suitable learning experience for the creation of a competent generalist psychologist with sufficient neuropsychological specialty training to be a well prepared, competitive applicant for Neuropsychology Residencies that abide by the Houston Conference Guidelines.The St. Louis VA Medical Center is a Tertiary Care Center for the VA Heartland Network/VISN 15. Located across two campuses (John Cochran (JC)) and Jefferson Barracks (JB)), four Community-Based Outpatient [Integrated Care] Clinics(CBOC’s), and a community-based Recovery Center, the medical center provides medical and mental health services to a diverse population from rural and urban settings throughout Missouri, Southern Illinois, and adjoining states. Organizationally, the Psychology Service is located within the Mental Health Service (MHS). MHS provides comprehensive MH services to approximately 10,500 veterans (>110,000 visits/year), including 2,600 veterans on our psychosis registry. These services include a large outpatient Mental Health Clinic, a Senior Veterans MH Clinic, extensive Substance Use Disorder programs (SARRTP, Opioid Addiction Treatment Program, Buprenorphine Clinic, Smoking Cessation), Primary Care Mental Health Integration, two PTSD Clinical Teams, CWT/Vocational Rehabilitation, MHICM (Mental Health Intensive Case Management), Family Psychoeducation, Peer Counseling, Neuropsychology, Medical Psychology/Consultation & Liaison, and a recently opened Psychosocial Rehabilitation and Recovery Center (PRRC), or “Recovery Center”. The St. Louis VAMC provides all inpatient services to the medical centers in the Eastern half of VISN 15. Inpatient services include: 70 acute psychiatry beds (General and Geropsychiatry) with 2000 discharges per year, an ALOS of approximately 8 days, and an ADC of approximately 50; a 50 bed Domiciliary; 25 Substance Abuse residential rehabilitation beds; and 8 Psychiatric Residential Rehabilitation Treatment Program beds under construction. Mentorship, although highly valued by its recipients, is often rarely rewarded. In recognition of the value the Association for Internship Training in Clinical Neuropsychology (AITCN) places on mentorship, the AITCN Mentorship Award was created to reward outstanding mentors from among our member programs. Awardees will have had a sustained career commitment to mentoring, a significant positive impact on their mentees’ careers, and through mentorship will have advanced patient care and/or research in the field of clinical neuropsychology. 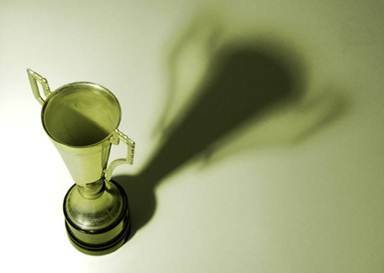 Each year one award will be granted to a nominated mentor. The AITCN Executive Committee reserves the right to not grant the award if no suitable nominations have been submitted. 2. A mentor can be nominated for activity in the current (2015 – 2016) or any prior internship year. 3. Nominees of all nationalities and all countries of residence are eligible; however, all application materials must be submitted in English. 4. Nominees may include any individual providing supervision, teaching, or mentorship with a neuropsychology focus during the nominating trainee’s internship year. 5. Nominees should have a sustained record of mentoring over time. 6. Nominators must be a mentee of the nominee with personal knowledge of the nominee’s supervision and/or mentoring efforts. 1. Prior recipients of the AITCN Mentor Award are ineligible for future awards. 2. Members of the AITCN Executive committee are ineligible for a mentor award during their tenure. 3. Self-nominations and posthumous nominations will not be accepted. Nominations will be due via e-mail no later than 5:00 p.m. (EST) on Wednesday, August 31st, 2016. Nominations are reviewed and scored on the following criteria: 1) intellectual growth and development, 2) career development, 3) nurturing of talent 4) professional guidance, 5) advocacy for mentees, and 6) being a role model. A letter written by the nominator that summarizes the nominee’s impact on the training/career of his/her mentee. Nominations may be made by any trainee or former trainee, based on either having been mentored by the nominee or by personal observation of mentoring provided to others by the nominee. Nominators must be mentees of the nominee or have personal knowledge of the nominee’s mentoring efforts. If the winning mentor was nominated separately by multiple nominators, the book award will be presented to the nominating individual whose letter was most significant in determining the win. Nomination packages will be forwarded to the AITCN Executive Committee for review. The final selection will be based on a consensus of the entire Executive Committee. Awardees are notified in December. Information about this award can always be found on the “Awards” section of this website. The Psychology internship program at the West Los Angeles Healthcare Center has been accredited by the American Psychological Association since 1979. It is a generalist program based on the scientist-practitioner model, the core concept of which is the understanding and application of scientific research to the practice of clinical psychology. Of the 37 clinical psychologists on staff at the West Los Angeles VA Healthcare Center, 25 provide clinical supervision in the Training Program. All psychologists on staff are licensed, are from APA-accredited doctoral programs in clinical or counseling psychology, and have completed an APA-accredited predoctoral internship. Many hold clinical and academic appointments at local institutions, including the University of California, Los Angeles, the University of Southern California, and Fuller Graduate School of Psychology. Psychologists at the West Los Angeles VA occupy a variety of roles in both inpatient and outpatient medical and mental health settings, with several staff members involved in program leadership positions and the majority working in interdisciplinary settings with allied mental health care professionals. Supervisors represent a wide range of theoretical orientations, including cognitive-behavioral, behavioral, integrative, and psychodynamic. In addition to the clinical internship, the Psychology training program provides training for 4-6 practicum students each year, most of whom are from local doctoral programs. In addition, we have four postdoctoral fellows in four clinical tracks: Geriatric Neuropsychology, Health Psychology-Integrated Care, Polytrauma Psychology, and Trauma. Interns will have the opportunity to work closely with practicum students and fellows. The APA-accredited internship training program at the West Los Angles VA Medical Center provides a multitude of clinical and didactic neuropsychological training opportunities. The program closely adheres to the recommendations of the Houston Conference on Specialty Education and Training in Clinical Neuropsychology. While this internship is generalist in nature and ensures that interns receive adequate breadth of experience, trainees who desire more in depth, focused training in neuropsychology can easily devote 50+% effort towards neuropsychological experiences. The Neuropsychology Program, headquartered in the Neuropsychology Assessment Laboratory, is affiliated with the Medical Center’s Neurobehavioral Unit and the Neuropsychology Postdoctoral Training Program at UCLA. Typically, interns seeking intensive neuropsychological training will devote an entire three-month rotation to this track, though on rare occasions an intern who has already obtained a wide array of non-assessment experience will be allowed to stay on for a second rotation. Additional training in neuropsychological assessment can be obtained on a number of other rotations including the Polytrauma Program/Traumatic Brain Injury (TBI) Program, Ambulatory Care, the Domiciliary, GEM/GRECC (Geriatric Medicine), Geropsychology, and Health Psychology. If so desired, interns who wish to maximize their training in clinical neuropsychology can structure their training year to obtain neuropsychological experience and supervision on all four quarterly rotations throughout the year. Interns will be exposed to patients with a wide variety of neurological disorders including Alzheimer’s disease, vascular dementia, traumatic brain injury, substance-induced cognitive disorders, toxic/metabolic encephalopathy, seizure disorder, major psychopathology, and subcortical dementias such as Parkinson’s disease and HIV-associated neurocognitive disorder. From a theoretical perspective, interns will be primarily exposed to a hypothesis testing/process approach to neuropsychological evaluation. Supervision is provided by a nine neuropsychologists, four of whom are board certified in clinical neuropsychology by the American Board of Professional Psychology. 5. Clinical pathology (i.e., brain cutting) conferences. The training objectives for interns in the Neuropsychology Program are to become familiar, at an introductory level, with knowledge of brain-behavior relationships, to establish a beginning level of competence in neuropsychological practice, to reach an intermediate level of understanding in interpreting research approaches and findings, and to become aware of the emotional consequences of neuropathology and of appropriate methods of psychological intervention. A wide array of research opportunities is also available on this rotation. Intern involvement can range from attending laboratory meetings to preparing conference presentations or papers for publication. By the close of the rotation interns will be adept at test administration and scoring. Supervision will largely focus on honing skills in interpretation, differential diagnosis, and patient feedback. Interns who complete the Neuropsychology rotation will be well-prepared to pursue postdoctoral training. Given the close ties between our VA internship and the UCLA postdoctoral training program in neuropsychology, over the last 20 years an average of one to two interns has been accepted into the UCLA postdoctoral fellowship each year. 1. To improve knowledge of brain-behavior relationships. Particular emphasis will be placed on functional neuroanatomy, integration of neuroimaging and neurological data, and normal and pathological neurocognitive and neuropsychiatric function. 1. Attend Neuropsychology Case Conferences. 3. Participate in the optional weekly Neurobehavior Clinic and the UCLA Neuropsychology Seminars when possible. 4. Attend Clinicopathologic Conferences (i.e. brain cuttings) when possible. Administer and interpret at least 12-18 comprehensive neuropsychological test batteries. Additionally, briefer, focused inpatient evaluations will be conducted as warranted. 3. To write neuropsychological reports at a level commensurate with a non-specialist psychologist. Write at least 12-18 comprehensive neuropsychological test reports. 4. For interns desiring a career in neuropsychology, to provide the training and experience needed to be competitive candidates for postdoctoral fellowship. In addition to the clinical and didactic experiences enumerated above, interns anticipating a career in neuropsychology will also be expected to seek involvement in other professional activities such as research, participation in lab meetings, and attendance at scientific conferences. 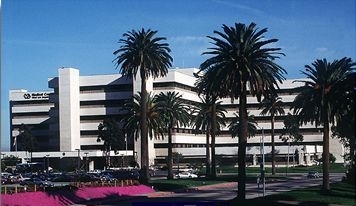 The VA Greater Los Angeles Healthcare System (GLA) is the largest and most complex integrated healthcare facility in the Department of Veterans Affairs. It consists of a tertiary care facility (West Los Angeles VA Healthcare Center), three ambulatory care centers, and 10 community-based outpatient clinics. GLA provides comprehensive ambulatory and tertiary care to Veterans in five counties in Southern California, with 801 beds, over 5,000 employees and an annual operating budget of over $770 million. In fiscal year 2011, GLA provided medical and mental health services to over 83,000 Veterans residing in the primary service area, including Los Angeles County, which has the largest concentration of Veterans of any county in the United States. It provides a full spectrum of primary and tertiary inpatient and ambulatory care services, including acute, sub-acute, rehabilitation, extended care, mental health services, telehealth, and home healthcare. GLA is one of 21 national Polytrauma Network Sites (PNS) that serves Operation Enduring Freedom, Operation Iraqi Freedom, and Operation New Dawn (OEF/OI/OND) Veterans with complex medical and psychological injuries, including traumatic brain injury. To find out more about GLA, please go to http://www.losangeles.va.gov/index.asp. The West Los Angeles VA Healthcare Center, which is the site for this internship program, is the hospital, research, and administrative center for GLA. It is situated on a 430-acre campus with 149 buildings. The south campus is primarily devoted to medical/surgical and inpatient psychiatric services located in the main medical center building. The north campus facilities include two 120-bed long-term care buildings (Community Living Center), a 296-bed Domiciliary, the Mental Health Clinic, substance abuse and PTSD programs, as well as research and administrative offices. The 496-bed California State Veterans Home,which was completed in 2010, is also located on the north campus. The West Los Angeles VA Healthcare Center is affiliated with more than 45 colleges, universities, and vocational schools. GLA sponsors numerous medical residencies and associated health residencies, including dentistry, podiatry, optometry, pharmacy, dietetics, and clinical psychology. Primary university affiliates include the UCLA David Geffen School of Medicine and the USC School of Medicine. At GLA there are more than 250 investigators conducting over 700 research projects in all areas of medical and mental health, with total expenditures of $43.7 million in 2011. GLA has numerous VA and NIH funded Research Centers including: The VA Geriatric Research, Education and Clinical Center (GRECC); the VISN 22 Mental Illness Research, Education and Clinical Center (MIRECC); the Parkinson’s Disease Research, Education and Clinical Center (PADRECC); the VA Health Services Research Center of Excellence for the Study of Provider Behavior; the Center for Ulcer Research and Education and a VA/UCLA Consortium for gastrointestinal research; and the VA/UCLA Center for the Neurobiology of Stress. The West Los Angeles VA Healthcare Center is located in one of the most culturally diverse cities in the nation and serves U.S. military Veterans who represent a mixture of ethnic, cultural, and individual diversity. Of the 68% of Veterans who identified their ethnicity when registering for care, approximately 64% identified as Caucasian, 27% as African American, 5% as Hispanic, 4% as Asian, and 1% as Native American. Our overall Veteran population is approximately 93% male. Over 41% of Veterans receiving care here are over the age of 65, with 8% under the age of 35 and 31% between the ages of 55-64 years. Over 14,600 OEF/OIF Veterans have been enrolled at GLA, with over 5,000 in active treatment. Of this group, approximately 80% are under the age of 30 and 9% are female Veterans. With regard to socioeconomic status, 57% of Veterans report an annual income of less than $20,000, with 18% reporting less than $10,000 in income annually.